Summary Recommendations: Enoxaparin is a blood thinner prescribed to treat blood clotting conditions. Deep vein thrombosis, pulmonary embolism and chest pain are all conditions that may require enoxaparin use. 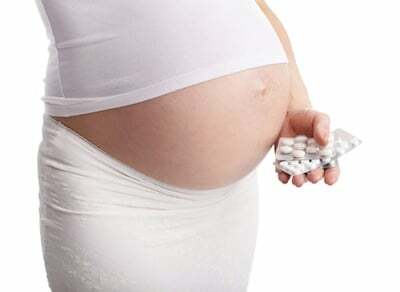 General Precautions: Enoxaparin is considered safe for use during pregnancy, but there are forms of the drug that contain a chemical called benzyl alcohol. Benzyl alcohol should not be used by pregnant women at any time. Benzyl alcohol passes into the placenta and has been shown to cause complications in premature infants. If you are taking enoxaparin when you find out you’re pregnant, contact your physician immediately, but don’t stop taking the medication. Your doctor will work with you to change medications if needed. If you stop taking your blood thinner you could suffer blood clots and increase your risk of death. Effect While Trying to Conceive: Enoxaparin is a blood thinner and blood thinners have been use to improve fertility in some cases. There is no proof enoxaparin inhibits fertility in men or women. Effects on Pregnancy: Enoxaparin does not cross the placenta, so there is no known danger to the fetus when taking this blood thinner. There are preparations of the drug that contain benzyl alcohol. While benzyl alcohol also falls into the pregnancy category B, it is known to cause Gasping syndrome in neonates, so this preparation should not be used in pregnant women. It is important to maintain a regular dose of blood thinner during pregnancy and stopping medication can cause harmful or deadly side effects. Enoxaparin is a low molecular weight (LMW) heparin. LMW heparins have been extensively studied in the pregnant population with no reported side effects or birth defects. Safe During Breastfeeding: You will pass enoxaparin into breast milk, but the impact on the fetus is not thought to be harmful. LMW heparins like enoxaparin are the first choice of blood thinners for use in pregnancy and use continues after birth, in most cases, so breastfeeding mothers taking the drug during pregnancy will inevitably be taking the drug if they choose to breastfeed.